Aromatherapy Properties: A pale yellow mobile liquid with a rich, herbaceous, mildly floral odor. 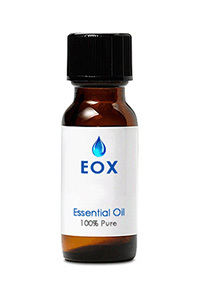 It blends well with grapefruit, lavender, lemon, marjoram, peppermint, orange, rosemary, and spearmint oils. Spiritual uses: Of course, catnip essential oil is a great way to create a psychic bond with your cat. It is also traditionally used for love spells and in dream pillows to promote sleep. The plant has a very playful spirit, and attracts good luck and friendly faeries when grown in the garden. Blends well with: Grapefruit, Lavandin, Lavender, Lemon, Marjoram, Sweet Orange, Peppermint, and Rosemary oils. History: The Catnip plant originated in Europe and Asia. It was used in Rome in food and medicine, and was made into a stimulating tea in France and England before black tea came over from Asia. The plant was introduced to the Americas in the 18th century, and we have records of 13 different indigenous American tribes who used it to assist children, with colic, colds, and stomach aches.